OKLAHOMA CITY (AP) – Oklahoma has a new nominee for secretary of Native American Affairs. Billy has served in the Chickasaw Nation Legislature since 2016 and previously served in the tribal Legislature between 1996 and 2002. She was in the Oklahoma House between 2004 and 2016 and held various leadership roles in the chamber, including majority Floor Leader and vice chair of the House’s Republican Caucus. 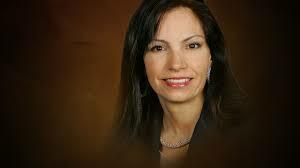 Billy formed the Oklahoma Legislature’s Native America Caucus in 2006 and has been recognized for her legislative work on prison reform policies. If Billy is approved by the Senate, she would replace former House Speaker Chris Benge, Native American Affairs secretary under former Gov. Mary Fallin.